Do you have chiseled abs yet? Buns of steal? You should definitely be able to maneuver your body into a pretzel position by now. Just kidding! Remember: this whole process is about respecting where you’re at right now and taking baby steps from that place. Simple as that! There’s no urgency or judgment around here. Only an opportunity to feel better. On that note: I want to know how you’re doing. How can my team and I help? Do you have questions? We absolutely adore our members (that means you) and have a true desire to support you! So, don’t be shy! Hit ‘Ask A Question’ and let us know how we can help. Below you’ll find a few questions we get asked a lot. What if I’m brand new to yoga and Pilates? Where do I start? Introducing people to yoga & Pilates is one of my absolute favorite things in the world! That’s why I created my 101 videos. Start there. If you’re short on time, check out the Quick Index. This is a collection of super-short videos, describing different poses and concepts. (Think of it as your yoga dictionary or Pilates glossary.) In regards to the workouts, my recommendation to most people is to begin with my Level 2 videos. What do the levels mean? How do I find the workouts I need? The levels are simply my way of indicating to you the intensity of a workout. I’m committed to offering you a comprehensive experience. Meaning, wherever you’re at, whether you’re new to yoga or Pilates or a fitness-enthusiast, you can find what you need on any given day. If you don’t know where to start, I’d suggest a Level 2 video. If it’s too easy, go up a level next time. If it’s too challenging, go down. Simple as that! Give yourself time & permission to experiment. If you’re needing more guidance, hit ‘Ask A Question’. My team & I would be happy to help you get started and would love to guide you towards the workouts that will suite you best. Absolutely! Simply follow these five steps:1.) Head to our homepage: YogaAndPilatesOnline.com/Studio.) Click “Member Login”3.) Click “Log into your account”4.) Click “Reset it.” (After the question, “Forgot your password?”)5.) Enter your email address and follow the instructions sent to your inbox. How does billing work? It is automated? Yes. You don’t have to worry about writing out a check every month or losing your access because you forgot to pay your bill. Unless you actively cancel your membership, your unlimited, at-your-convenience access will continue and collections from your account will happen accordingly. How do I find out when collections from my account are scheduled to take place? Follow these steps to get that information:1.) Head to our homepage (YogaAndPilatesOnline.com/Studio) and log in, if you aren’t already.2.) Scroll to the very bottom of our homepage. In the righthand corner, you should see a little section that says, “Your Account”. (Your name should show up there. If it’s not showing up, you’re not logged in.) Click “Account”.3.) Click “Subscriptions”. What if I’m currently on a free trial? You can use the three steps listed above to find out when your free trial ends. You must have a credit card on file with us if you’d like to continue beyond your free-trial period. If you don’t add a card, your membership will be cancelled after your free-trial period is complete.To add a card, follow the steps outlined above. But instead of clicking “Subscriptions” at step #3, click the link, “Update card.”Once you add your card, billing is automated. This means unless you actively cancel your membership, your unlimited, at-your-convenience access will continue and collections from your account will happen accordingly.If you’ve added your card, you can use the steps outlined above not only to find out when your free trial ends, but also to find out when collections from your account are scheduled to begin. Although we do not offer refunds, you have the ability to cancel anytime. We totally understand that sometimes priorities shift and we certainly support whatever you feel you truly need to do. However, before making that decision, we hope you take a moment to reflect on the questions below and reach out to us and other members for the support you need.1.) If I stay committed, what will my life and body look like and feel like one month from now? In three month? A year? A few years?!2. )If I keep this promise to myself, what will I learn? Who will I become?3.) 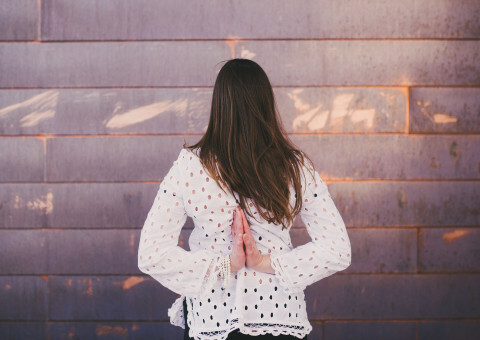 What might change for me if I continue to prioritize my health?Did you know it’s not uncommon to pay $20 for a single, one-hour yoga class? Or over $100 for a personal Pilates training session?The investment for this membership is less than $1 per day. The payoff has the potential to be dramatic. And, you’re totally worth it! ? Follow these steps:1.) Head to our homepage (YogaAndPilatesOnline.com/Studio) and make sure to log in, if you aren’t already.2.) Scroll to the very bottom of this page. In the righthand corner, you should see a little section that says, “Your Account”. (Your name should show up there. If it’s not showing up, you’re not logged in.) Click “Account”.3.) Click “Subscriptions”.4.) Click “Turn off auto-renewal”. What if the videos aren’t working? Try these things:1.) Refresh your page.2.) Switch your browser.3.) Update your browser.4.) If you’re getting message that a plugin is blocked, unblock it.If you’re still having trouble, click the button below. My team & I would be happy to help you out! What devices will play your videos? Can I use my smartphone? What about my iPad? My videos should work on all your devices, including your computer or any of your mobile devices (tablets, smartphones, etc.). If you’re wanting to do my videos on your television, simply plug your computer into your TV, using an HDMI cord. What about the times when I don’t have internet access? Is there anyway I can download a few of your videos? Yes! As a member bonus, I offer one video per month for you to download, keep, and use however you’d like. My [YPO News] emails will give you more information on how to access your free downloads. In order to download these videos, you will need internet access. However, once they are downloaded to your device, you don’t need internet access to view them. You must download videos using your computer. However, once downloaded, you can drag the video files into applications such as iTunes. This will allow you to access the downloaded videos on mobile devices such as your iPhone or iPad. What equipment do I need to make this work? All you need is Internet access and a computer, smartphone, or tablet. (And, once you take me up on my free video downloads, you won’t always need Internet access!) When I first started doing Pilates, I didn’t have a mat…I didn’t even use a towel. I lied on the carpet of my messy living room. And, guess what? It still worked its magic. Nowadays, I have a few nice mats and a small, very inexpensive, very easy to store, “at-home gym”…a.k.a. corner of a room where I keep a stability ball, some weights, and a foam roller. Fancy? Nope. Effective? Absolutely. When you decide you’re ready for your first purchase, I’d recommend getting a mat. Click below for my mat suggestions and other equipment recommendations. I saw something about Live Happy Hour Hangouts? What are these all about? These are a free member bonus! They’re all about fun, connection, and inspiration! Think: yoga & Pilates + wine or tea + an inspiring guest…all in the comfort of your own home! We’d love for you to join in the fun! Keep your eyes peeled on our [YPO News] emails…that’s where you’ll find more details. What if I need more support & connection? Head on over to our private, member-only Facebook group! Ask questions, get aquatinted with other members, find accountability buddies & new friends! And, remember: if there’s anything my team and I can help you out with, never hesitate to reach out! Annalicia, I want to connect with you, personally. How do I do that? The top three ways to connect with me personally are…1.) On Instagram @annalicialynn2.) On Facebook @ Facebook.com/LynnAnnalicia3.) At our Live Happy Hour Hangouts!Also, feel free to respond to my emails! ? Why do you refer to TruthBeautyPeace.com and Your True Power in some of your videos? When I launched the first version of this membership program I called it “Your True Power” and promoted it on my TruthBeautyPeace.com website. After a lot of reflection, I decided to change the name and website URL to keep things simple and clear.